For retail or wholesale to corporate, a feminine ladies silhouette in 100% moisture wicking polyester in navy, black and other colors. Easy care, quick drying, and resists UV penetration. Raglan sleeves, self-fabric collar, and ladies v-neck placket. 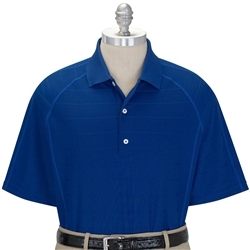 Six colors up to 2XL makes this a fun option for corporate outings. Logo embroidery optional. Black, Dark Sky, Grasshopper, Navy, Night Sky, White. 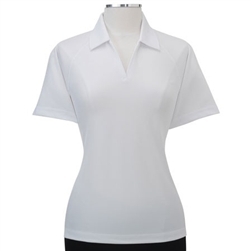 Zero Restriction Ladies Performance Wendy Polo shirt – Buy it online now. 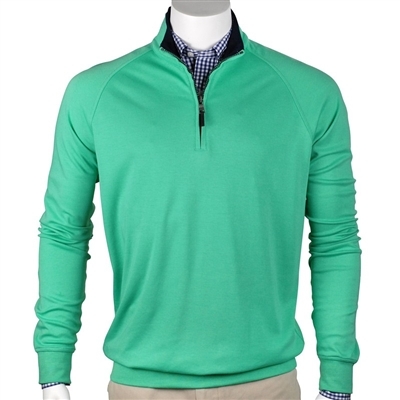 Stylish men’s moisture wicking golf shirt by Zero Restriction to enhance a complete layering system. Pique fabric with contrast striping on collar, sleeves, chest and neck placket. Easy care, moisture wicking. Zero Restriction Men’s Place Stripe Polo – Buy it online now.